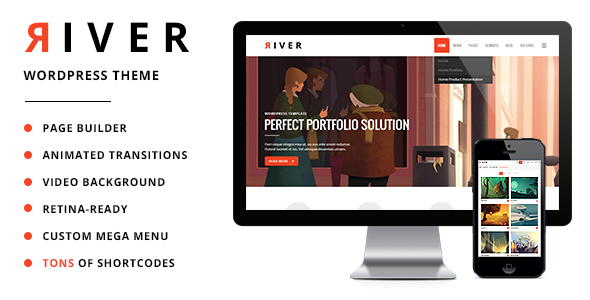 RIVER is a retina multi-purpose WordPress theme. Fully Customizable Mega Menu – Customize both standard and mobile menu, create wide or normal sub-menus at the same time, choose wide menu layout with or without icons. Add widgets to one of the columns of the wide menu and create any layout you want. Create awesome one-page web sites using anchors in the menu.